Deciding whether to repair old windows in your Houston area home or to invest in energy-efficient replacement windows can often come down to a question of money. Investing in window glass repair in Houston generally costs less initially and can provide acceptable results in most cases. 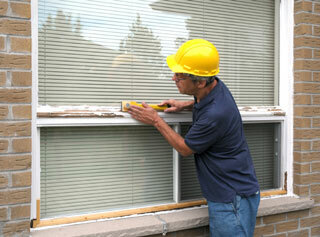 Full replacement of damaged or aging windows, however, can often deliver significant energy savings over the long run. Making the right choice for your home can help you enjoy added comfort for many years to come. 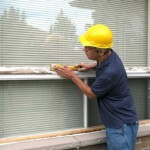 Here are four factors to consider when choosing to repair or replace your windows. Newer windows with just a few cracks or broken panes can often be repaired at a considerable cost savings for you. Working with a quality Houston glass repair company can ensure the most attractive results and can help you maintain the value of your home. For older windows with visible gaps, cracks and deterioration, however, it is probably more cost-effective to invest in a whole-home window replacement project. Energy-efficient replacement windows can reduce your utility bills while increasing comfort for you and your family. Depending on its age and historical significance, it may be desirable to maintain the current appearance of your home to preserve its unique charm. Companies that offer residential glass repair in Houston and The Woodlands can often provide you with an estimate to replace broken or cracked panes and to restore these windows to a reasonable facsimile of their original condition. If maintaining historical accuracy is not a concern, however, upgrading to energy-efficient replacement windows may be a cost-effective way to maintain comfortable temperatures inside your home during hot Texas summers and cold Houston winters. Your available financial resources can play a large role in determining whether window repair or replacement is the best choice for your home. Repairing one or two windows can cost significantly less than replacing all of them; however, for windows already in a state of disrepair, the likelihood of further problems increases with the passage of time. Replacement windows, on the other hand, may require a larger initial investment and may be out of reach for those on a limited income. Financing can help ease this cash crunch in some cases and can allow you to enjoy added savings over the life of your new windows. How Long Do You Plan to Keep Your Home? If you are planning a move in the near future, spending large sums on replacement windows may not be the most practical choice for your budget and your family. While replacing aging windows can add significantly to the value and curb appeal of your home, the cost of these projects can rarely be recouped completely at the time of sale. If you plan to stay in your home for at least the next five years, however, replacement with vinyl windows can usually pay for themselves in increased resale value and added savings on monthly utility bills. Considering the length of time you expect to remain in your current home may provide you with the information necessary to make the right choice for your situation. Whether you choose to replace your windows with new, energy-efficient models or to repair your existing windows, working with an established company can help you achieve the most positive results. Professional glass companies can offer the guidance and expertise you need to make the right decision for your home and family. By selecting a firm with solid experience in residential glass repair in The Woodlands and Houston, you can be sure that your project is completed quickly and to your precise specifications, allowing you to enjoy optimal comfort during every season of the year. This entry was posted in Vinyl Window Replacement and tagged Glass Repair Houston, Residential Glass Repair Houston, Residential Glass Repair The Woodlands. Bookmark the permalink.